Alabama Power has set tentative dates this fall for water-level drawdowns on Lay, Mitchell, Jordan/Bouldin and Neely Henry lakes, located on the Coosa River. Drawdowns give residents and contractors better lakebed access for permitted construction projects on the four lakes. The last drawdowns took place in 2013. Because weather conditions can affect the drawdown schedule, residents and contractors are encouraged to visit Alabama Power’s automated Reservoir Information System at 1-800-LAKES11 (1-800-525-3711) or https://apcshorelines.com/ for updates. Residents and contractors considering any construction projects within Alabama Power’s reservoir boundaries should consult with the company about obtaining the proper permits before beginning any work. Permitting guidelines and contact information for permits can be found on the Shoreline Management page at www.alabamapower.com. Individuals with boats and other water-related equipment and facilities should always be alert to changing conditions on Alabama Power reservoirs and be prepared to take the necessary steps to protect their property. Alabama Power has 14 hydroelectric facilities on the Coosa, Tallapoosa and Black Warrior rivers, producing low-cost, clean energy for customers. 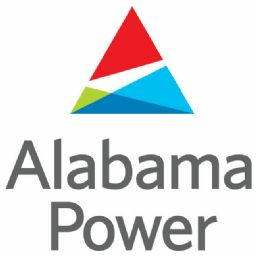 To learn more, please visit www.alabamapower.com.